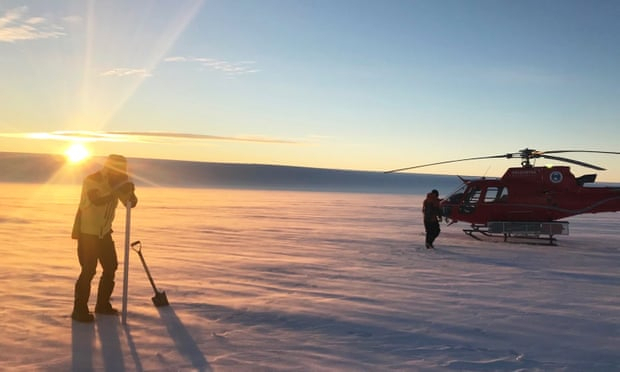 Australian researchers have discovered huge underwater lakes beneath the largest glacier in east Antarctica, the Guardian reports. “The explosives were a sound source for us … and it would then echo off different layers in the ice,” Galton-Fenzi told the Guardian. He said the speed glaciers travel at is determined by what they move across. “If there’s bedrock under the glacier, it’s sticky and will move more slowly, but if there’s water or soft sediments, the glacier will move faster,” he said. Galton-Fenzi said the next step for researchers would be to drill down to take a sample of the lakes but he lamented there was no funding certainty for future research. “This is the single biggest problem we need to face and have answers to over the next couple of decades,” he said.